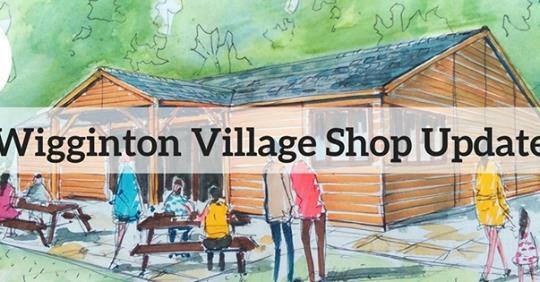 It is with great excitement that we can announce that our building contractor is Datum Point and the build of our wonderful shop will start on Monday 3rd September. Glen Adams, Director of Datum Point, has lived in the village for over 12 years. To mark this monumental milestone, we wanted to invite you to attend a celebratory ‘breaking ground’ on Saturday 1st September at the Shop’s site on the Sports Field at 10am where we will take a photograph to keep for posterity! We have reached this stage because of the tremendous support from you all. Our special thanks goes to a number of people and businesses for helping the Wigginton Community Shop project get to this stage. The skills within our lovely village are truly awesome! • Lease and Deed of Variation to ensure we can use the land on the sports field to build and run the shop: Claire Miller of Penman Sedgwick on behalf of the Shop and Chris Smee of Barnes and Partners on behalf of the Parish Council. Finally, thank you to everyone who has invested their money, support and time, we could not have got this far without you. We will be in touch soon with more detail around the build plan. Here’s to a great December opening. To receive an email when a new information related to the shop is posted, please enter your email address below and press Send.